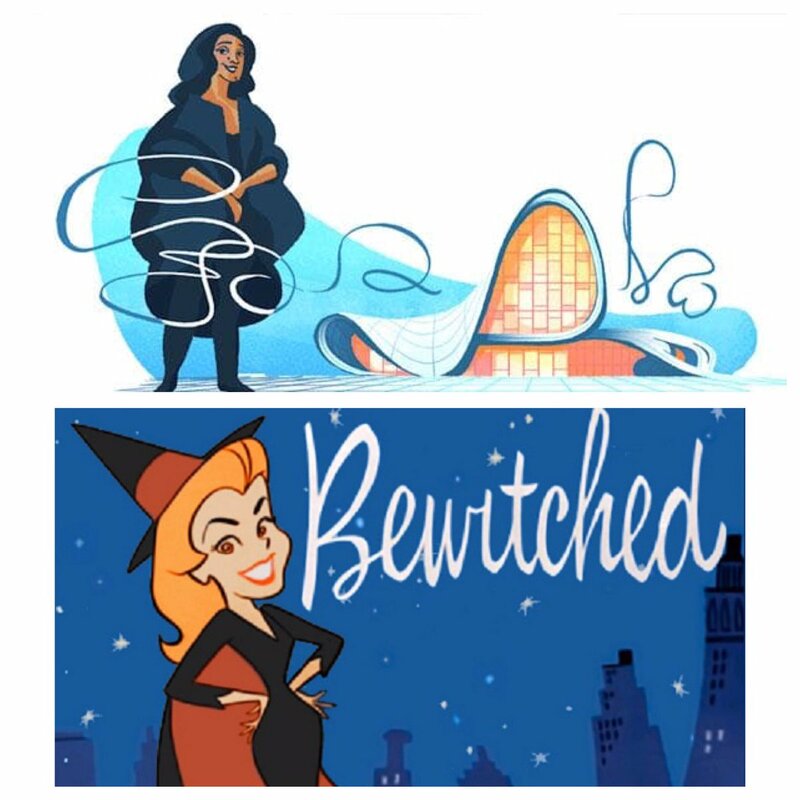 Today's Google Doodle suggests Architect Zaha Hadid had nose-twitching magic powers. Little Moreton Hall is a moated 15th-century half-timbered manor house in southwest of Congleton, Cheshire. It is one of the finest examples of timber-framed domestic architecture in England. The house is today owned by the National Trust. 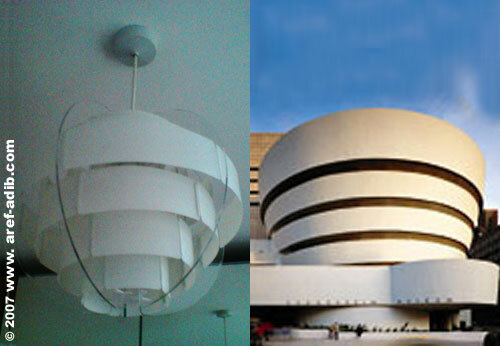 My IKEA lamp shade and the Guggenheim Museum New York by Frank Lloyd Wright. 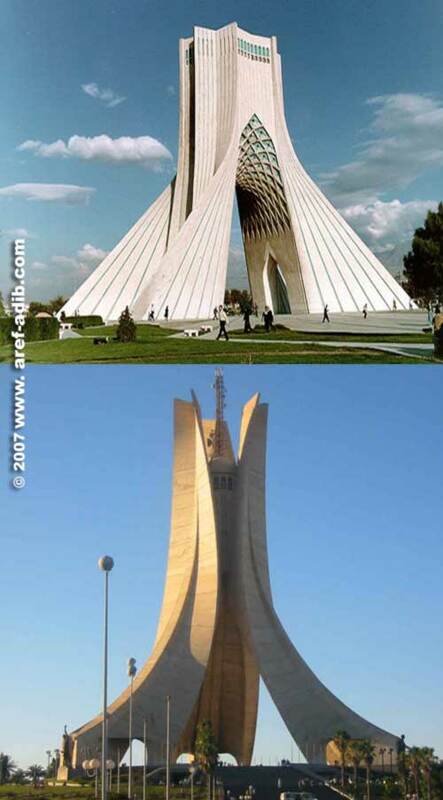 The Azadi (Shahyad) Tower in Tehran was built in 1971 in commemoration of the 2,500th anniversary of the Persian Empire, this "Gateway into Iran" was named the Shahyad Tower- meaning "Remembrance of the Shah (King)"- but dubbed Azadi (Freedom) after the Iranian Revolution of 1979. It is 50 metres tall and is completely clad in cut marble. The Monument of the Martyrs ( Maquam E' chahid ) in Algiers is an iconic concrete monument commemorating the Algerian war for independence. The monument was opened in 1982 on the 20th anniversary of Algeria's independence. 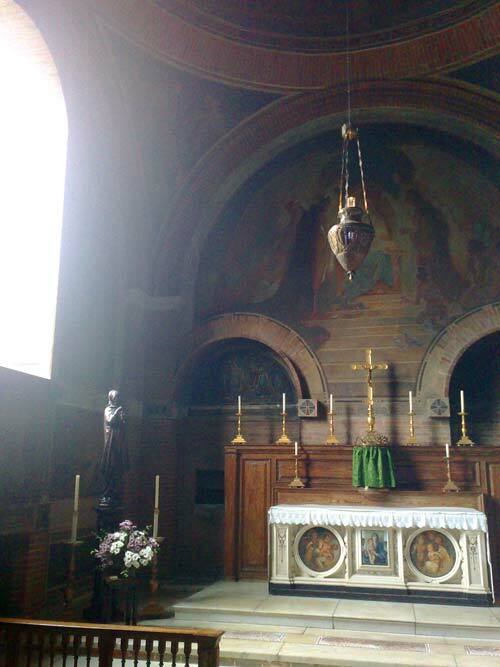 It is fashioned in the shape of three standing palm leaves which shelter the "Eternal Flame" beneath. 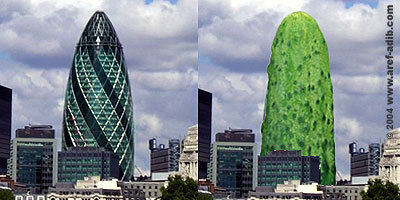 The Gherkin, the City of London's new landmark has won an architecture award. Duchamp called his work Bicycle Wheel "an assisted readymade". Readymade are objects manufactured for some other purpose, presented by an artist as a work of art. Marcel Duchamp, who originated this concept, selected and signed many ordinary objects. 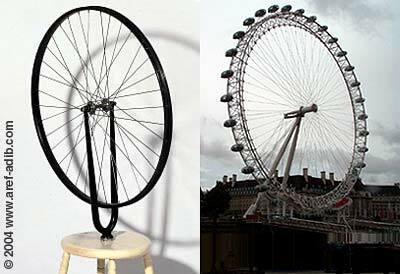 He occasionally altered these objects (sometimes called assisted readymades), which the Bicycle Wheel is a well-known example. On Saturday we went to Ladbroke Grove and walked around the impressive Trellick Tower - a grade II listed building designed by Erno Goldfinger. 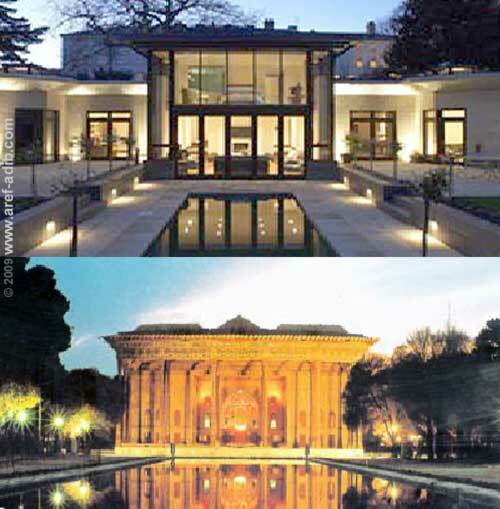 Goldfinger?s own modern house at 2 Willow Road in Hampstead is now a museum. 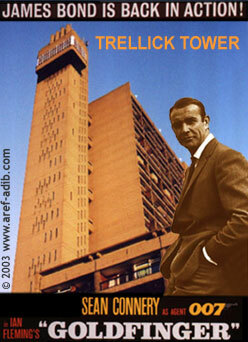 Legend has it that his neighbour Ian Fleming did not like either Goldfinger or his modern taste. Fleming took his revenge by naming the chief villain in his book "Goldfinger" after him.